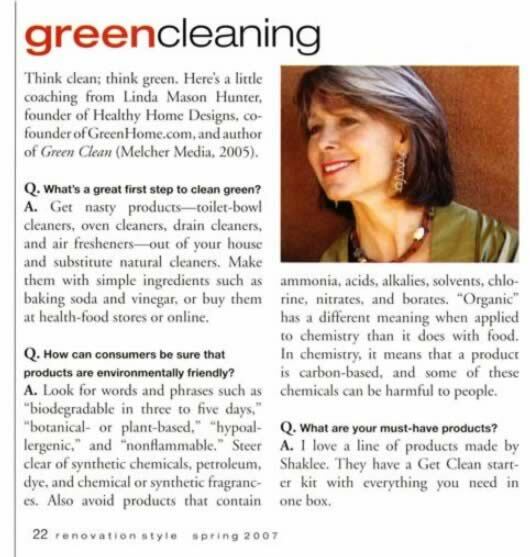 Following is an article on Green Cleaning from the Spring 2007 issue of Renovation Style Magazine. Click here, to read more on the variety of cleaning products offered by Shaklee. Click here to read more on the product the author recommends. Click here to return to Environmentally Safe Cleaners.